CareerBuilder Employment Screening provides pre-employment background screening solutions for businesses of all sizes. Its services include criminal records checking, credentials verification, drug testing, and more. Ready to get started with CareerBuilder Employment Screening? Contact their support team for more information. Users who gave CareerBuilder Employment Screening a positive review said that the interface is simple and easy to use. They mentioned that the turnaround time for the results is generally fast. Users also like that they can efficiently search, access, and review a lot of quality candidates in one platform. 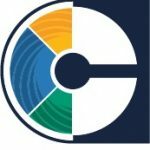 One user who gave CareerBuilder Employment Screening a positive review on G2 Crowd said that the program is easy to set up and is user-friendly. She shared that it allows them to toggle between multiple accounts efficiently. She also mentioned that the results are released quicker as compared to other background screening services they have used in the past. As of the date this article was written (11/15/2018), there are not a lot of negative CareerBuilder Employment Screening reviews online. However, some users said that the cost of the services is more expensive than other similar providers. One user who gave CareerBuilder Employment Screening a critical review on G2 Crowd said that the monthly cost is higher than other similar programs. She also said that not all important details about the candidate are included in the report, such as the date of birth and social security number. CareerBuilder Employment Screening doesn’t publish its subscription plans online. Pricing for similar providers usually ranges from $20 to $100 per report depending on the type of search required. Interested parties may contact their sales team to request for a customized quote. Additional third-party fees may also apply depending on the screening services needed. Ready to get started with CareerBuilder Employment Screening? Contact their support team for more information. Best Background Check Companies For Employers — Background check companies give you the assurance that the people you’re hiring don’t have red flags in their past that could affect you or your business. In this buyer’s guide, we looked at the most popular options (in terms of price and the types of background checks offered) to help you decide which one is more suitable for your business needs. What industries does CareerBuilder Employment Screening cater to? CareerBuilder Employment Screening provides services to all kinds of business industries. Some of the industries that they frequently cover include staffing, retail, technology, transportation, healthcare, financial services, energy, and field services. Background checks usually take 24 to 72 business hours to complete. Information on specific third-party integrations is not readily available on the company’s website. However, CareerBuilder Employment Screening claims that their program can be integrated with applicant tracking systems. 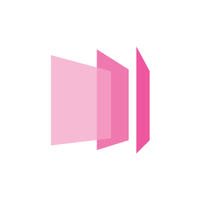 Interested users may contact the company’s support team for more information on their available integrations. Not sure if CareerBuilder Employment Screening is the right fit for you? Read our reviews of all top background check providers or check out one of these three CareerBuilder Employment Screening alternatives. This company does a great job of everything. Customer service representatives are ALWAYS readily available. The ease of use is simple and seems to be similar in cost structure compared to other products! The automated emails that are sent out to candidates to complete sometimes get lost in their email inboxes, but I think that is something that most background check companies face. 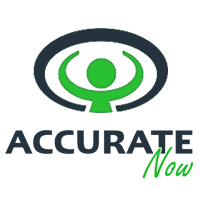 Want to Know the Best Background Check Provider? Choose from 3 of the most popular that will suit your needs.